there is no doubt that Massachusetts is committed to ensuring that care is within reach for those who need it. The question now is how to ensure that this funding is effectively used to improve health and quality of life. One critical piece of the equation is looking at the newly revised MassHealth model and maximizing the role of Accountable Care Organizations (ACOs),a group of health care providers, including doctors, hospitals, health plans and other health care constituents, who voluntarily come together to provide coordinated high-quality care. After 20 years with an unchanged fee-for-service structure, we have arrived at a critical crossroads where the long overdue MassHealth revisions integrate ACOs, emphasizing quality of care over quantity of services provided. As a result, ACOs will play a more pivotal role in managing the care of MassHealth members – many of whom have complex social and behavioral health needs that have not been adequately addressed in the existing system. But ACOs will need additional support to address the many external factors that impact the health of the MassHealth population — food security, stable housing, transportation, education, income, and safe communities. Data shows investing in meeting social needs can have measurable impacts on health: a recent study attributed 40 percent of health outcomes to social factors, compared to only 20 percent driven by medical care. Physicians have already bought in to this idea; a recent Commonwealth Fund report notes that nearly 80 percent of physicians believe that addressing patients' social needs is as important to improving health and outcomes as addressing their medical conditions. Using hunger as one concrete example of the impact social determinants have on health, studies show that the 48 million Americans lacking basic nutrition have longer hospital stays and higher costs of hospitalization. They also experience nearly twice the rate of hospital re-admittance when compared with well-nourished individuals. Massachusetts has taken a critical first step by incorporating funding to specifically address social health needs in its ACO model. This approach stands in clear contrast to the federal Accountable Health Communities model, which focuses dollars on merely directing patients to existing social services as opposed to funding the services themselves. Funding the services is critical, since many social service providers are either at or beyond capacity given their reliance on limited philanthropic giving. But the details matter in changing the way healthcare is provided. Something as simple as offering ACOs incentives to identify and address the social issues most relevant to their patients and then to document how they are partnering with social service providers to address them could begin to move the dial. While there is a growing body of evidence that addressing underlying social challenges can lower the cost of care, a Massachusetts requirement that funded social services clearly be cost-effective alternatives to covered benefits may be a barrier to moving forward. Aside from the burden conducting research and analysis would create, the current requirements remain vague and unclear. In a recent study of healthcare workers who referred their patients to Community Servings' food and nutrition program, 96 percent reported that medically-tailored meals improved client health and 65 percent reported that the program led to decreased hospitalizations. But it is not clear that this data would be seen as meeting the requirement for cost-effectiveness. More importantly, many social service programs add the most value by helping patients manage health conditions, adhere to treatment plans, and follow clinician instructions. This improvement in patient engagement may not immediately show a financial benefit, but over time, particularly for those with chronic conditions, it will result in better health, fewer hospitalizations, and decreased reliance on emergency care. An effective ACO model should also be seen as a supplement to existing social services programs, not an exchange or take-away. For example, ACOs could partner with a community-based program to provide medically-tailored meals and nutritional counseling to beneficiaries who lack adequate access to food. Program participants accessing this type of support may also receive SNAP (Supplemental Nutrition Assistance Program) benefits. 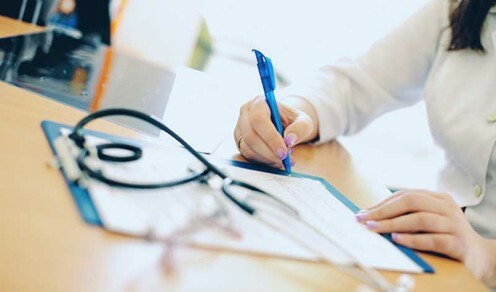 Creating a tradeoff between the benefits offered by an ACO and traditional benefits – many of which do not meet all needs – is only likely to cause confusion and concern among patients. Wholesale integration of social service providers into the ACO model is clearly a priority for health policy leaders at the state and federal levels. With as many as 175 million Americans expected to be participating in an ACO practice by 2020, food, housing, and physical environment are critical to the future success of the accountable care movement. Massachusetts has an opportunity to lead the nation once again by effectively making social services a basic element of the ACO model. We must answer the call. David B. Waters is the CEO of Community Servings, a not-for-profit food and nutrition program providing services throughout Massachusetts to individuals and families living with critical and chronic illnesses. Community Servings currently has more than 100 active clients on the South Shore.